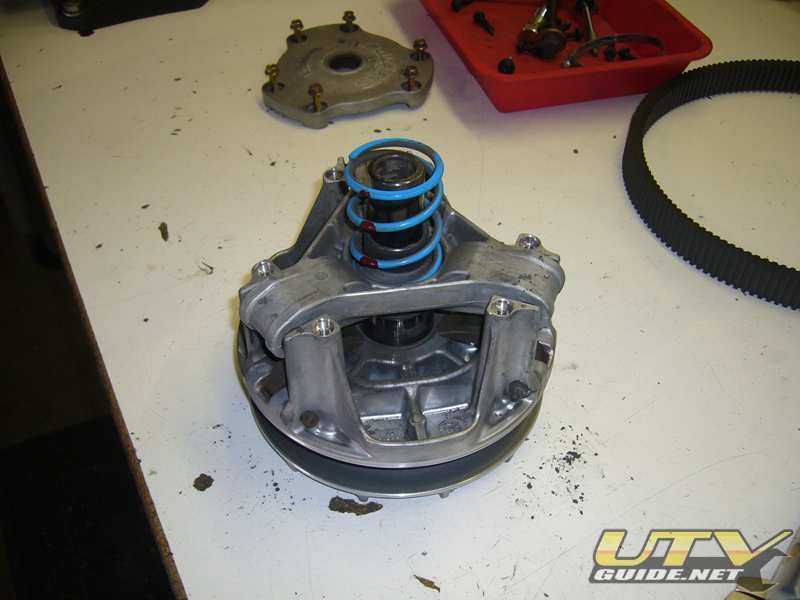 The job of the transmission is to change the speed ratio between the engine and the wheels. The transmission uses a range of gears — from low to high — to make more effective use of the engine’s torque as driving conditions change. The gears can be engaged manually or automatically. Today’s side x side vehicles all use a type of automatic transmission called a continuously variable transmission or CVT. Unlike traditional automatic transmissions used in cars that are much too heavy for a side x side vehicle, CVTs don’t have any sort of gears. The CVT operates on a pulley system that allows an infinite variability between highest and lowest gears with no discrete steps or shifts. 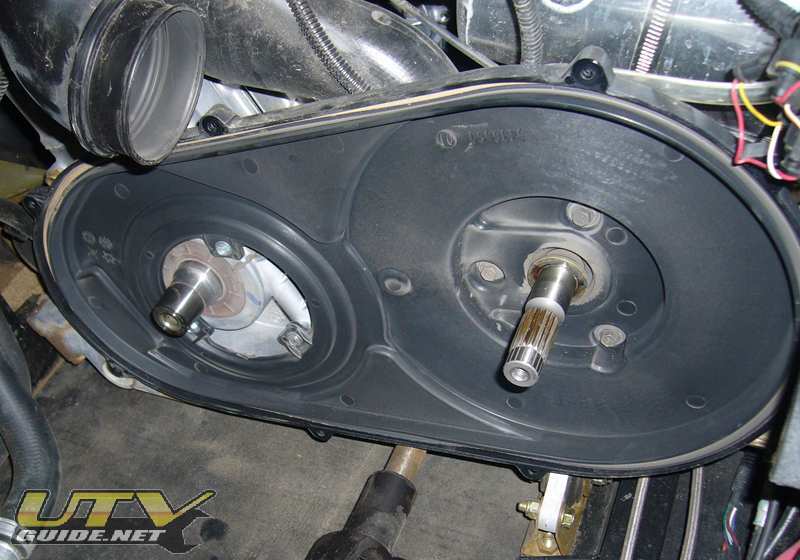 The variable-diameter pulleys are the key to a CVT. Each pulley is made of two cones facing each other. A belt rides in the groove between the two cones. When the two cones of the pulley are far apart, the belt rides lower in the groove, and the radius of the belt loop going around the pulley gets smaller. 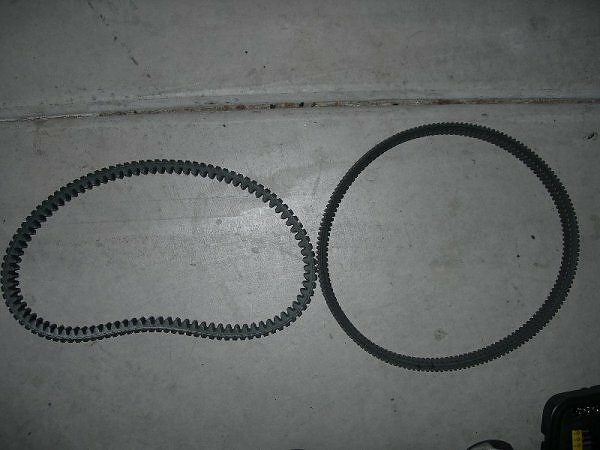 When the cones are close together, the belt rides higher in the groove, and the radius of the belt loop going around the pulley gets larger. 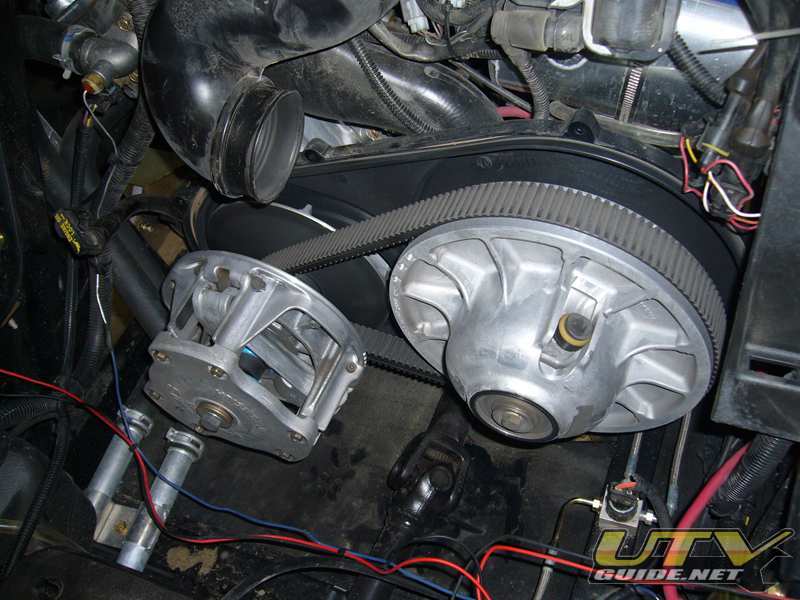 One of the two pulleys is connected to the crankshaft of the engine. This pulley is typically called the drive pulley. The second pulley is called the driven or output pulley because the first pulley is turning it. 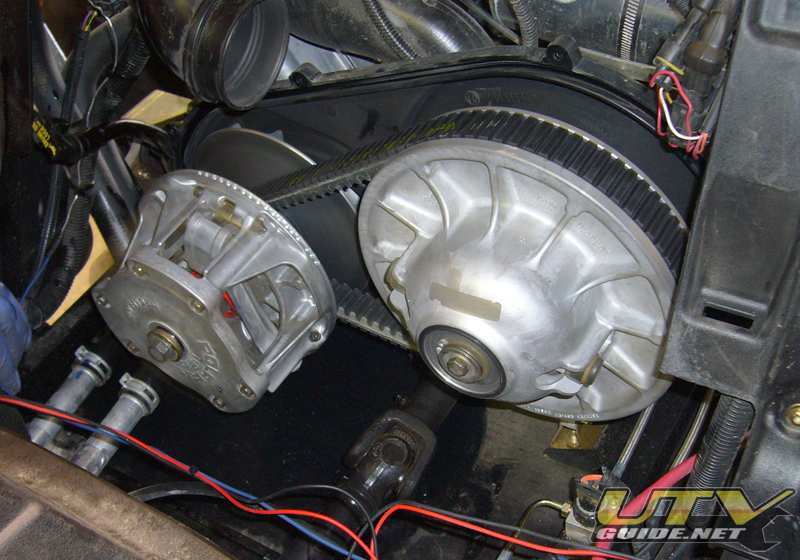 The driven pulley transfers energy to the transfer case and onto the differentials, through the axles and out to the wheels. 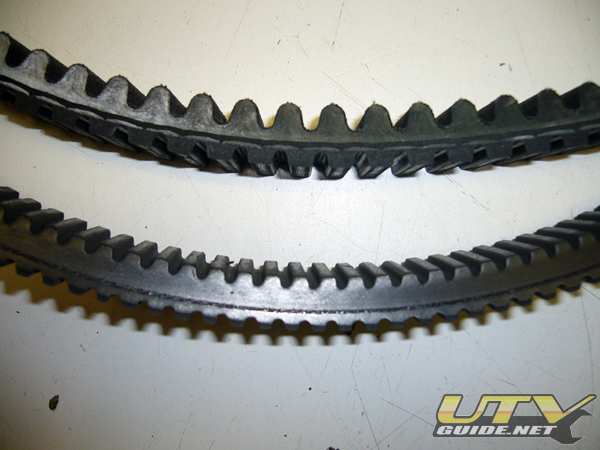 Excess heat is a real killer of CVT belts. 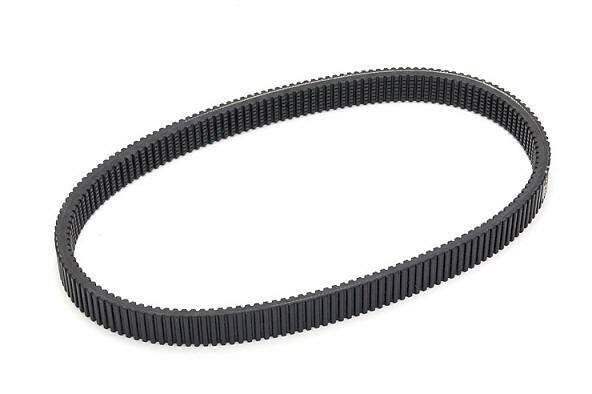 Excess heat is created by belt slippage. The belt is cooled by air flow, so anything you do to slow the flow of air over your belt will make your belt even more hot. 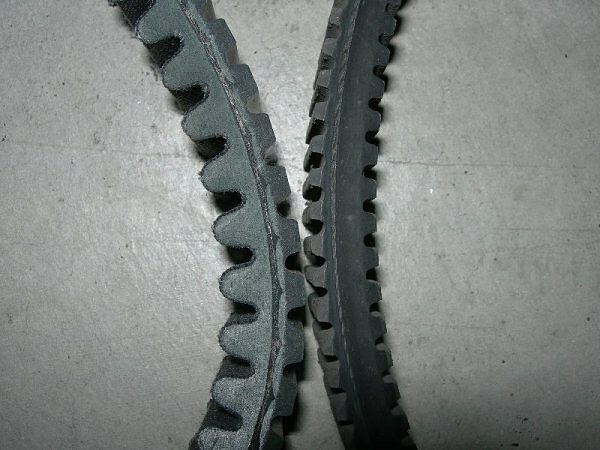 CVT belts slip as a normal part of operation, but limiting the amount of slip is key. 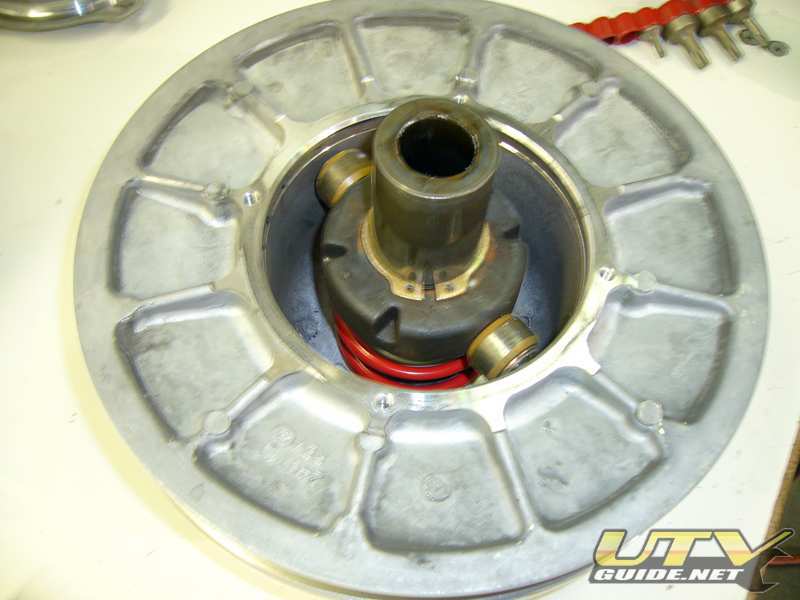 Adding extra weight to the vehicle without changing how the clutch operates will cause more slipping. So will over size tires and added performance (pipe, air filter and other performance work). 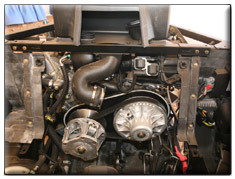 Added stress on the engine while driving in mud or in the sand dunes will also create belt slip. 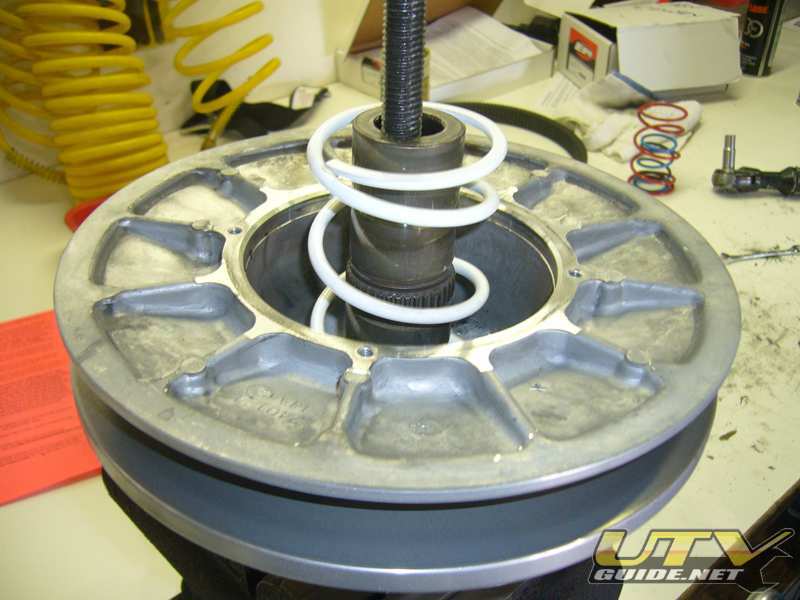 While it is impossible to set up a clutch on a UTV to handle all variations or vehicle weight, horsepower and driving conditions, it is possible to adjust your clutch with different springs and weights for the majority of conditions. Think of it as tuning your CVT to your vehicle modifications and riding areas. 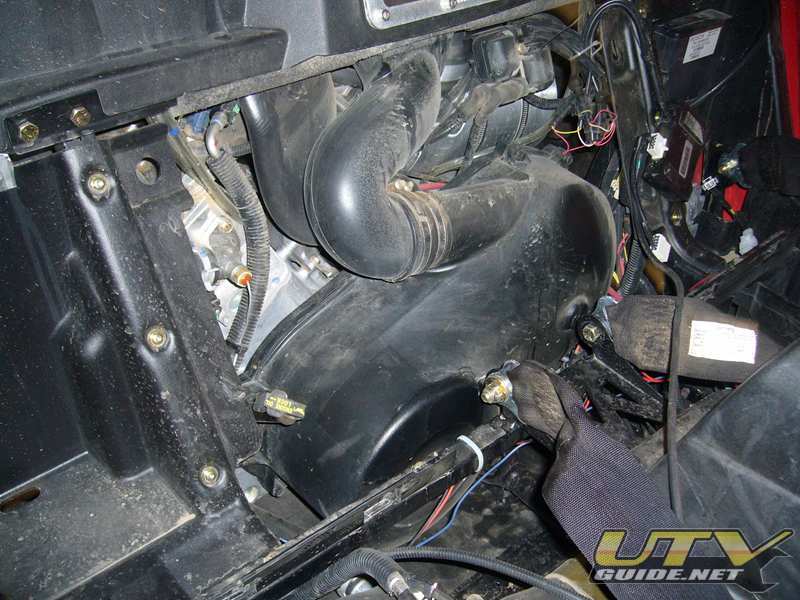 Since the RZR’s engine sits sideways, the belt is in between the seats and right behind them. 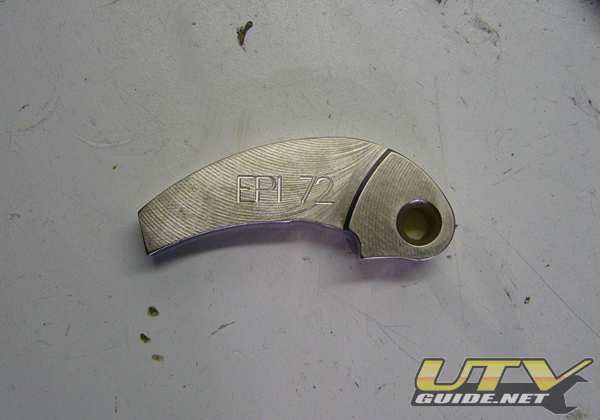 Slide secondary clutch off then use clutch puller to remove primary clutch. Both primary and secondary pulleys removed. Primary – We will be replacing the spring and the weights here. Cover removed so spring can be replaced. This is a balanced unit so mark it so you can get it back together the same way. Secondary – We will be replacing just the spring here. 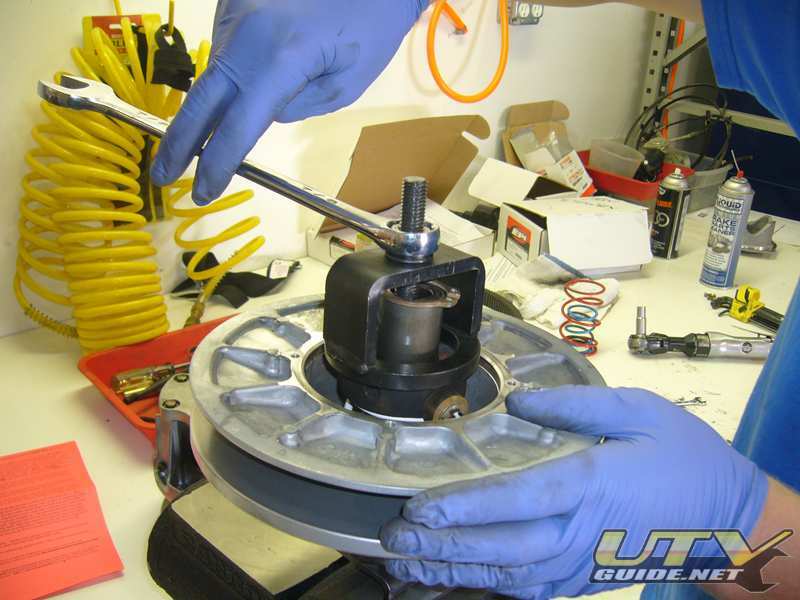 After you get it back together, make sure that you torque to specifications. Testing – Low RPM on left. High RPM on right. 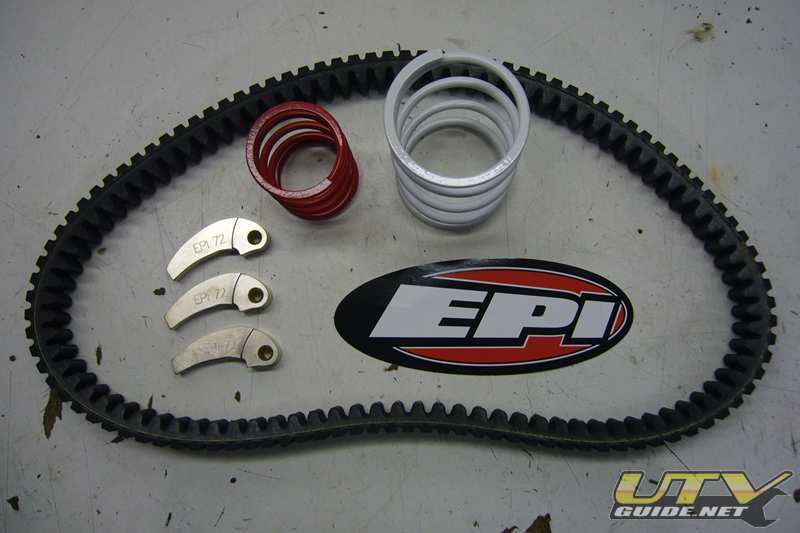 EPI carries a complete line of clutch kits to work with your machine and your riding style… everything from trail riding and heavy duty hauling/working to mud running with oversized tires. 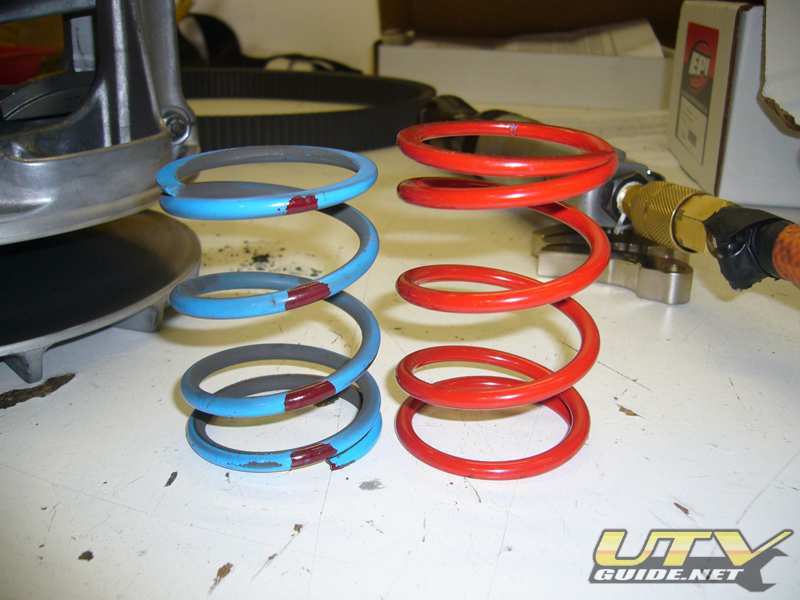 Kits are designed to improve the performance on or off the trails without losing the reliability of your ATV/UTV. 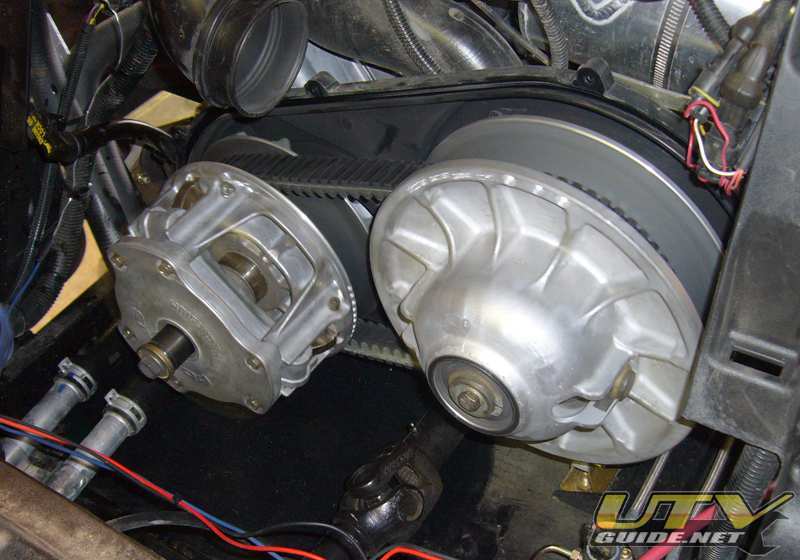 Kits are more efficient in transferring the power of your ATV/UTV down to the tires. 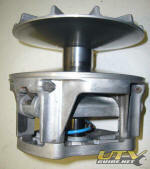 Kits are also designed to improve low and mid-range acceleration.